A lot of people do get across this problem of their system not showing x64bit among the list of OS in their VIRTUALIZATION SOFTWARES or Not Functioning, and blame their OS, Processor, the system manufacturers, the software and so on. The Virtualization software (Virtual Machine or Virtual Box) version is 32bit only. Virtualization Technology (VT), also known as Vanderpool, this technology enables a CPU to behave as if you have several independent computers, in order to allow many OS (operating systems) to run at the same time on the same computer. 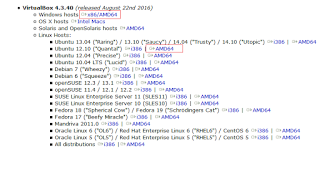 What causes you to see a 32bit list of operating systems without the 64bit while you have 64bit OS running? Let’s take these problems one after the other. 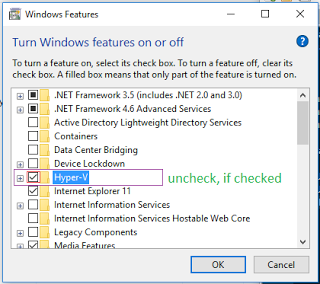 ● uncheck “Hyper-V if ” if checked. For more information, you can check out this site.